In two separate altercations Saturday in Santa Maria, eight people were arrested and two ended up in the hospital. Shortly before 2 a.m., officers were dispatched to an altercation on the 600 block of East Tunnell Street. Police arrived to find two men suffering from non-life-threatening stab wounds. Emergency medical personnel transported one victim to Marian Regional Medical Center in Santa Maria and the other to Santa Barbara Cottage Hospital, police said. Both were listed in stable condition Saturday. 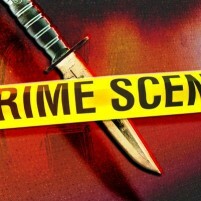 Shortly before 11 p.m., Santa Maria police responded to reports of a gang fight on the 500 block of East Boone Street. When officers arrived, multiple people fled with some trespassing into a neighboring residence. Officers arrested three adults, all known gang members, and five juveniles. Three of the juveniles were listed as missing from Santa Barbara and Santa Maria. why don’t they raise their children better? Let’s just ship these fine fellows to Gangster Island and let them kill each other off. I’d pay a few extra pennies in taxes to help make that happen! The Santa Maria problems are cultural. No white gangs, no asian gangs, no black gangs. Only Mexican gangs. And since the population is overwhelmingly Mexican, they are loathe to report or cooperate with law enforcement. So, the majority deserve what they tolerate. Everyone else suffers. Pelican: About 900 people are reported to be gang members in Santa Maria. So, double that or even triple that for affiliates. That would make .0003% of the population involved in gang activity. If you actually go to Santa Maria on any given day, you will realize that for the most part it is normal people doing normal things. Sounds alot like the Peppertree Plaza wars of the early 70’s that took place in Santa Maria.